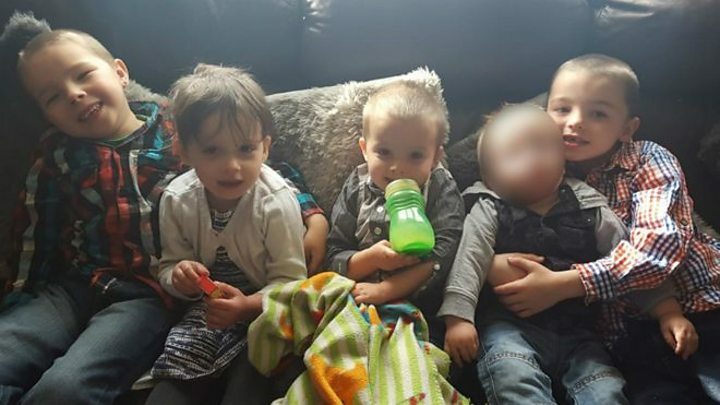 Thousands have been raised for the family of four children killed in a house fire - as investigations into the blaze continue. Riley Holt, eight, Keegan Unitt, six, Tilly Rose Unitt, four, and Olly Unitt, three, were killed in the blaze in Stafford on Tuesday morning. More than £20,000 has been raised so far, and friends and neighbours have been "overwhelmed" with offers of help. Emergency services have said they expect to spend days at the scene. The children's mother and her partner leapt from a first-floor window with the siblings' two-year-old brother. Natalie Unitt, 24, Chris Moulton, 28, and two-year-old Jack remain in hospital but their injuries are not life-threatening. Jane Hardy, whose children attend Castle Church Primary School, where Riley, Tilly and Olly were pupils, launched a Facebook page to rally support. It has had hundreds of comments from people offering beds, baby supplies, vouchers and toiletries. Ms Hardy said: "There was a pretty dark atmosphere yesterday morning and we all felt it very deeply and I just felt like I needed to do something, instead of sitting at home being sad about it. "The outpouring was overwhelming for one human yesterday so we're talking now about how we are going to now organise the offers of help." She said once the family are ready, they can decide what they need, and the rest will be sold to raise further funds for them. Stephen Glover, whose daughter also attends the school, set up the crowdfunding site. He said: "It is just very, very emotional. "When I set up the page I set [the target] at £3,000 to begin with and that was reached within an hour and it has just gone on and on." Staffordshire Fire and Rescue and Staffordshire Police said their investigations into the cause of the fire are continuing over the coming days. Amanda Blagg, 38, who visited the scene, said: "I saw the mum every day at the school - her son is in the nursery with my son. A minute's silence was held before Stafford Rangers' game on Tuesday night. 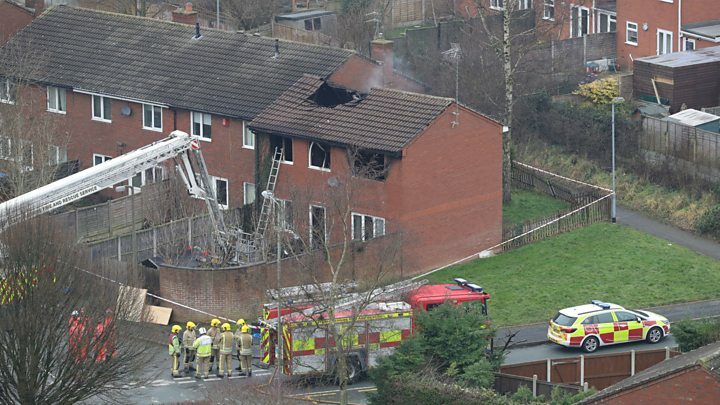 Housing association Stafford and Rural Homes, which owns the property in Sycamore Lane, Highfields, is helping the police and fire service with investigations. Speaking in the House of Commons earlier, Stoke-on-Trent Conservative MP Jack Brereton praised the emergency services for their actions during the fire. Cabinet Office Minister David Lidington said: "I think for any of us that are thinking through what that family has had to live through and must face living through in future, it strikes one it must be almost unendurable."